How to set your wedding apart from the rest! No one wants a “been there done that wedding.” So how can you make your wedding completely unique and stand out from all the rest? We are here to help! We have all sorts of fun ideas that you will love and say to yourself “Why didn’t I think of that? !” First off; it is the little things that matter. Having something like a photo booth available to the guests during cocktail hour is a sure way to impress your guests and keep them entertained. It also makes for a fun way for your guests to leave you with well wishes and memories from the night which you will be able to enjoy forever! Have you ever been to a wedding and look at the bridesmaids and think “Hmmm, I wonder how each bridesmaid knows the bride.” We love this idea for all those curious guests. 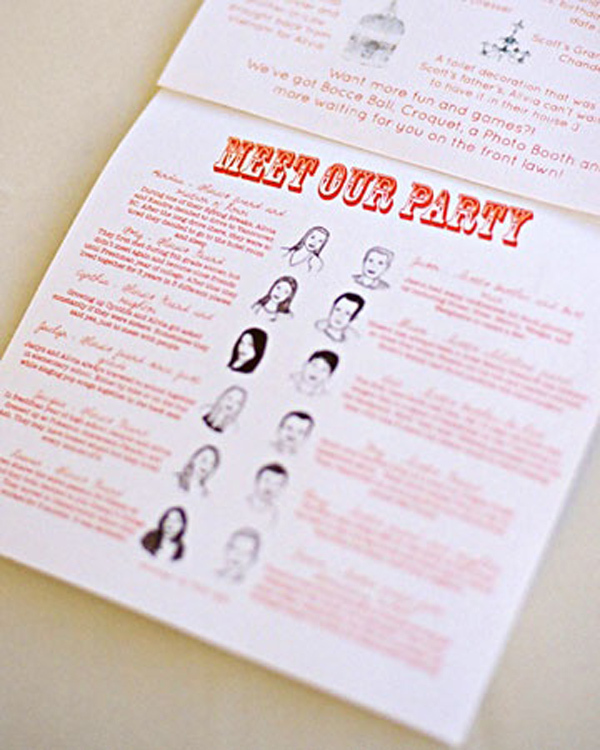 Make up a wedding program and give them to your guests before the ceremony. 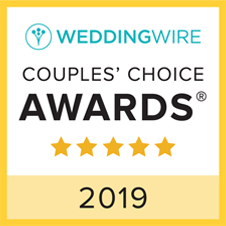 In the program, you can have a “meet our bridal party” section that can give your guests all the deets about your bridesmaids and groomsmen!While your guests are waiting for dinner, have these on the table for them to fill out. They will love having the input and it will keep them entertained while they are waiting for their food! While your guests are waiting for dinner, have these on the table for them to fill out. They will love having the input and it will keep them entertained while they are waiting for their food! 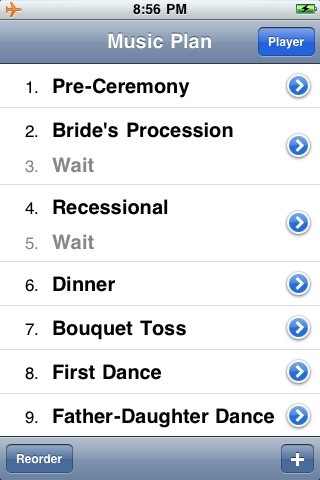 For those brides who know exactly which songs they want to play and when, this is a great app called Wedding DJ that helps you organize your wedding playlist! Simply hand it to your MC and the rest of the night will be smooth sailing. For the brides with a sweet tooth, sometimes a simple wedding cake just is not enough! The idea of having a dessert bar is a new wedding trend that we love and will be sure to set your wedding apart from the rest. Click above for some ideas on some unique dessert and candy bars that will send you and your guests to dessert heaven! If you want to get creative with lighting for an outdoor wedding, here are some great ideas for some soft romantic lighting that will make for a beautiful venue. We have several options for lighting here at Party Plus that will mimic some of these ideas! We also love the sparkler idea shown in the above link. Spell out words with sparklers and have your photographer capture it! We hope these ideas will help you make your wedding creative and fun, and as always happy blogging!